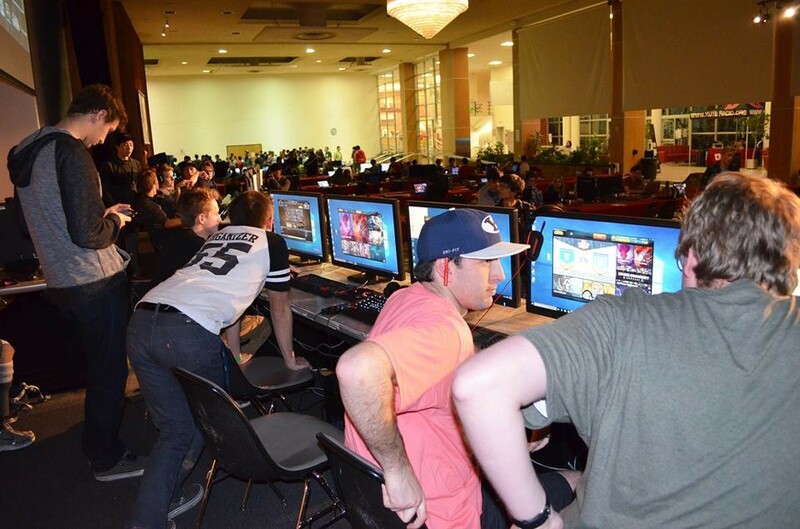 The local esports website helps get the word out on competitive gaming. 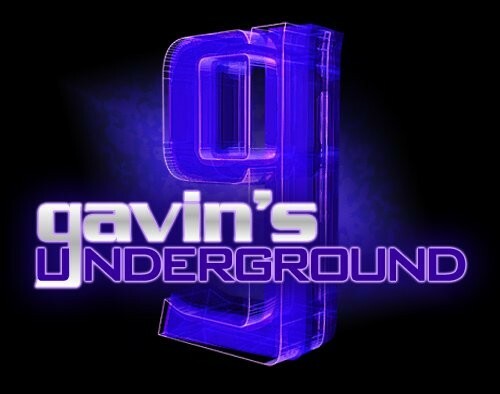 Gavin: Hey Michael, first thing, tell us a bit about yourself. 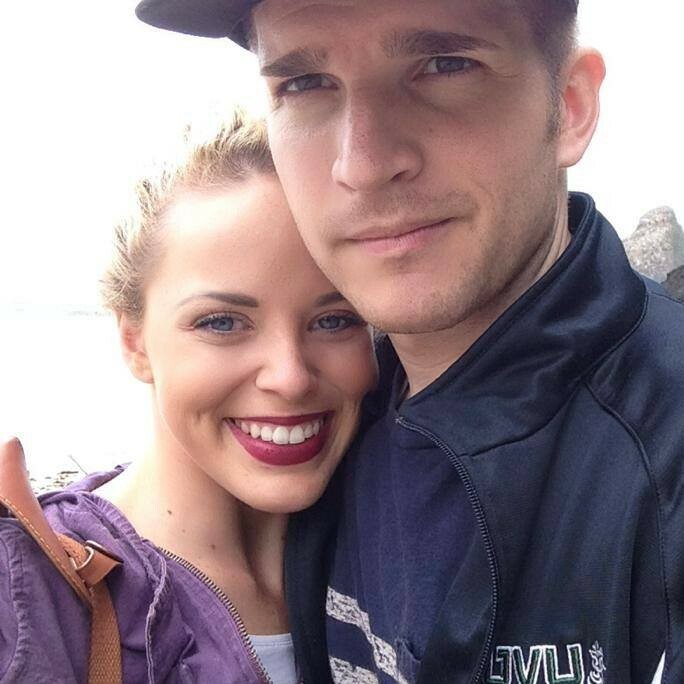 Michael: I’m married with one kid and live in the world of web development and gaming. I love to play baseball, go running, dance, spend time with my family, and of course, play games! I’ve lived most of my life here in Utah, and have come to love the friendly atmosphere that the gaming community offers to anyone interested. How did you first get into gaming, and what were your favorite titles growing up? I’ve been gaming since I could understand how to use a computer. I started with games like Jetpack, Ken’s Labyrinth, Descent and Warcraft. My brothers and I had to share a computer growing up, so I would watch them play all the time. I would watch what the password was [as it was] typed into unlocking the computer. When they would leave, I would sneak onto it with their password and play until my brothers caught me playing their games. If I couldn’t do that, my brothers and I would spend hours playing the Super Mario Bros. series, and Quackshot on the Nintendo every Saturday morning. As you got older, how did your taste in gaming develop and what kind of games do you like to play now? I’ve always been nostalgic for old-school games and have stayed with them most of my life. I was always a sucker for the first Final Fantasy games but generally have followed most game releases and stayed well rounded. I have to admit, I’ve played and enjoyed most Donkey Kong games, haha. Whether it be Starcraft: Brood War with other online players, or Call of Duty and Halo, I’ve found that competitive play is where I tend to spend most of my time. Now, I focus my interests on Final Fantasy, Hearthstone, League of Legends, and Starcraft 2. When did you start taking notice of MLG players and Let's Play-ers? I never really took notice of or paid attention to other players streaming their games or even posting videos of their gameplay for a long time. You would think that as much as I love to play, that I would be immersed in that world! I stumbled onto online recordings when Justin.tv came out and I was looking for really good strategies for Starcraft 2: Wings of Liberty. I was absolutely hooked and loved watching build orders of the pros, and copying them to increase my ranking in the online community. Since then, I’ve developed my own favorite list of streamers and games on Twitch that I enjoy the competitive atmosphere, content and entertainment they provide when I watch them. How did the idea come about to start up Utah Esports? Growing up, through high school and into college, I noticed that I could never find out when and where local events would be. 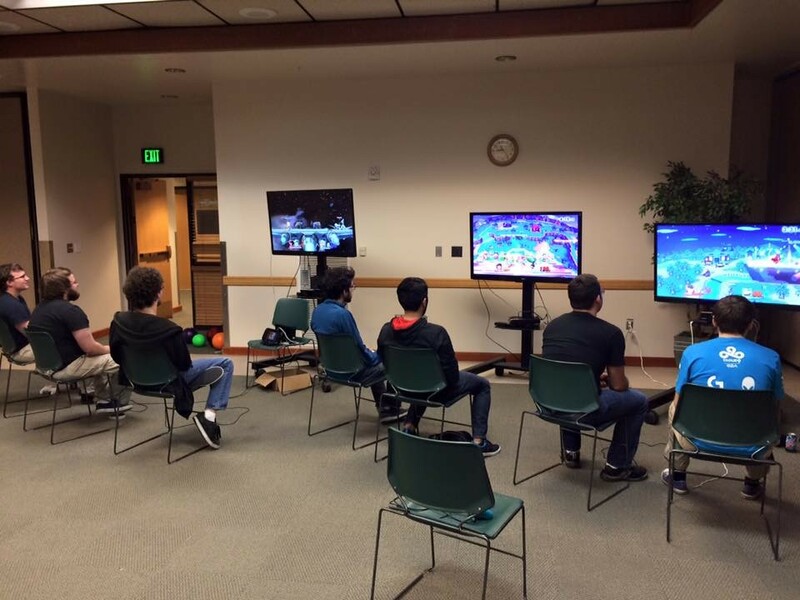 Once in awhile, it would be a Super Smash Bros. LAN at a random house, or I would happen to be part of a group that talked about an upcoming tournament. It always felt like chaos in the gaming community, and no one really seemed to know or have anywhere to go to see it all. Back in 2009-2012, it seemed to get better. Different groups and organizations here became better at posting their events and keeping the community updated. That was what I felt like, the boom of Esports where all the excitement and motivation was growing the fastest. Then something happened. Although it was all still there in the hearts of the players, as a community it looked to be falling apart slowly again. That’s when I realized that there was a solution. Everybody had the desire to be a community and be a part of multiple gaming genres, but in reality, no one wants to join 50 Facebook groups and pages just to find that one cool event. That is where Utah Esports comes in. It's an information-driven organization focused on providing the community with access to all events of all competitive gaming genres. We also find it important to promote our local gamers as well, which is why we have added in pages that focus on local gaming streams and social groups. What was the process like in deciding what kind of games to feature on the site? We focus primarily on games centered around Esports. We aren’t biased against any major game that has a competitive scene and we watch for new games that are growing in the Esports world such as the upcoming game Overwatch. Generally speaking, we look for games with not only a global acceptance and community, one that has a strong sense of community and participation in Utah. This includes semi-regular events, social groups and, hopefully, competitive teams. How did you go about finding all the local competitive gamers and streamers? Utah is an active community, so finding them wasn’t hard at all. Gamers and streamers want to be heard and recognized for the hard work they put into their craft. As a result, gamers are very open to letting you know what they are up to and when they are most active. Not only that, our Utah gamers are very open to feedback to making their content more enjoyable and relevant to those watching. We’ve reached out to many gamers online through social media and if you are a gamer, you can get in touch with us via social or on our website. 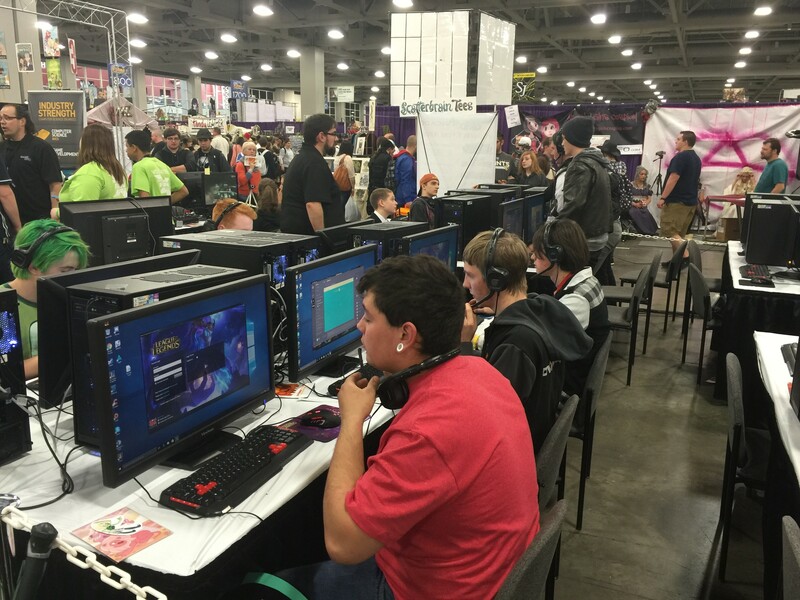 Utah Esports strives to promote our local gamers through social media such as Facebook, Twitter, and Instagram. 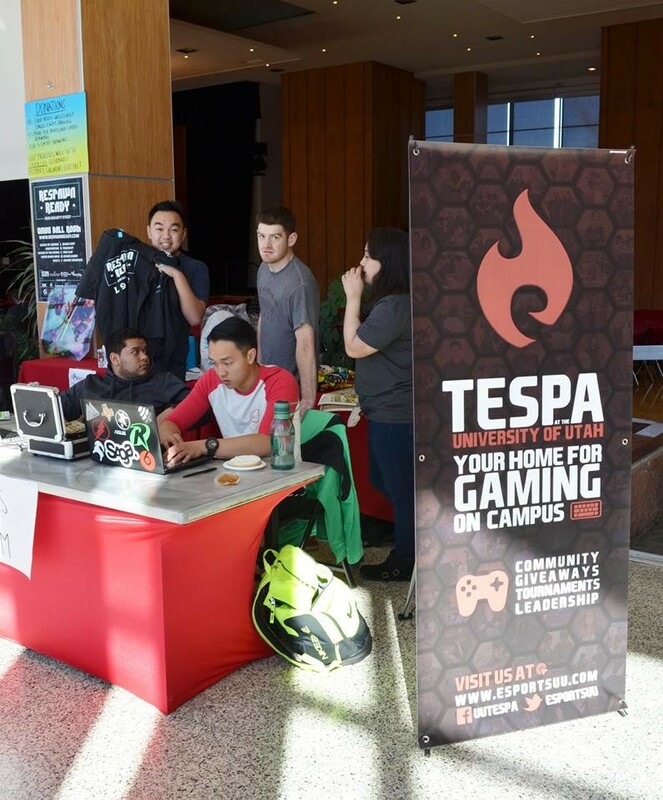 You can find us there promoting gamers and events every day! Aside from location, what guidelines do the gamers have to meet in order to be featured? We currently promote all of our streamers via social media without bias. We want to give all gamers a chance to be recognized for the content they provide to the gaming community. On some games, all it takes is a single promotion and a couple viewers to push them upstream lists and gain potential followers. As we grow we are looking into various guidelines that will be developed to best cater to the most serious and active streamers within our community. What was it like for you launching the site and getting the word out? Believe it or not, it was not hard at all to get the word out. Gamers want an easy-to-access location on the internet where they can find out what’s going on. Other sites have attempted this and failed, in part because they fail to engage their audience and stay regularly active and updated. We believe we are constantly gaining the trust of gaming community by staying constantly active and up to date on what is going on every day. You wouldn’t believe how many events and gamers come out of the woodworks when they know there is somewhere they can go that will recognize their contribution and upcoming events for everyone to find. How often do you setup events, and what do you have coming down the road in April and May? We currently aren’t actively setting up events under the Utah Esports name, but work in partnership with Esports Arcade to actively provide events and services that gamers can value. In fact, Esports Arcade and Utah Esports have some big plans in the next few months that you will have to stayed tuned for. We are excited for what will be announced soon. Overall, there are a lot of events planned for the next few months. The University of Utah is hosting their Hearthstone tournament in a few weeks and Game Tyrant has their free League of Legends tournament at the end of the month. You can find all of the many events in Utah on our Events page. What do you hope to achieve with the website as it continues to grow? Utah Esports will be building out deeper its infrastructure and website capabilities as the year goes on. We hope to continue growing a community that is actively engaged and growing to include all players of all levels. Esports is still on the rise and isn’t going away anytime soon. With that in mind, we plan to continue promoting streamers and events in order to strengthen Esports in Utah across all gaming genres. We hope that as a result of the support we provide that Utah will become a name to be feared and admired among the global gaming community. 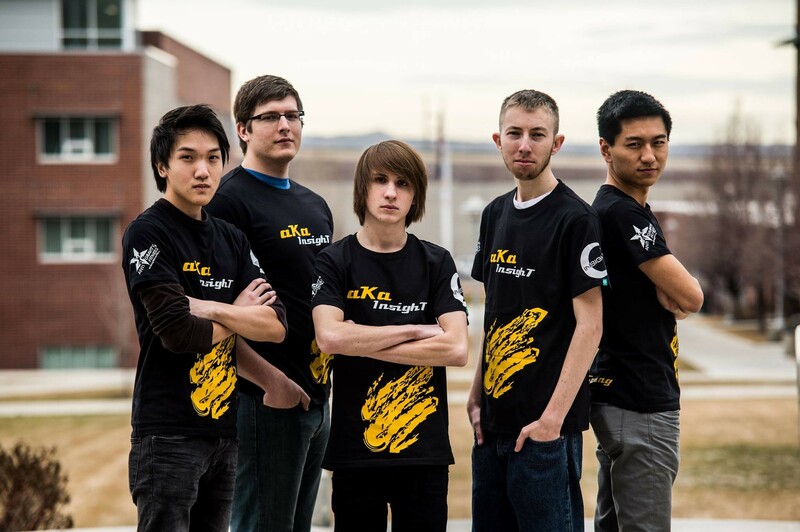 What can we expect from you and Utah Esports over the rest of 2016? This year we are all about outreach and communication. You can expect us to continue what we are doing now. That is to say, staying active and keeping Utah gamers up to date on all that is going on. With the current activity we see, we plan to help promote and sponsor top gamers and teams from Utah as well as local events. We plan to reach all gamers of all age groups in Utah and help them become a part of our healthy and growing community.